After hours, days, or possibly months of deliberating, you have finally found your perfect personal firearm, so now the hunt is to find the best way to carry it with you. With so many options available, sometimes it’s hard to know where to start in making a purchase that will conceal your firearm safely and comfortably. Luckily for you, we have put together a handy list of some of the things you should be thinking about before making your holster purchase. 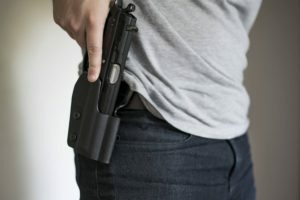 One of the first things you’ll need to decide on is where you feel most comfortable in carrying your gun on your body. 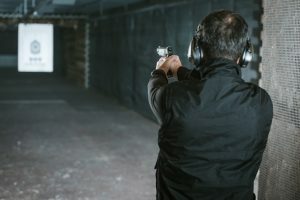 Inside your waistband is considered one of the best places to carry your weapon as it’s one of the easiest places to conceal your firearm as well as less chance of being unarmed by a "bad guy" since it’s so close to your body. Some people don’t like carrying it that way because it's uncomfortable for them to have the extra bulk around the waist area. However, there are many options you can try out such as wearing it at different positions around the waist (appendix, hip, side etc. ), along with a choice of materials that the holsters are made from. When looking at IWB belt clip holsters, the first thing you’ll need to accept is that it is reliant on having a waistband of some sort to attach the holster to. The best way to wear these holsters is clipped or threaded on to a belt on a pair of trousers or shorts, jeans, or skirt. 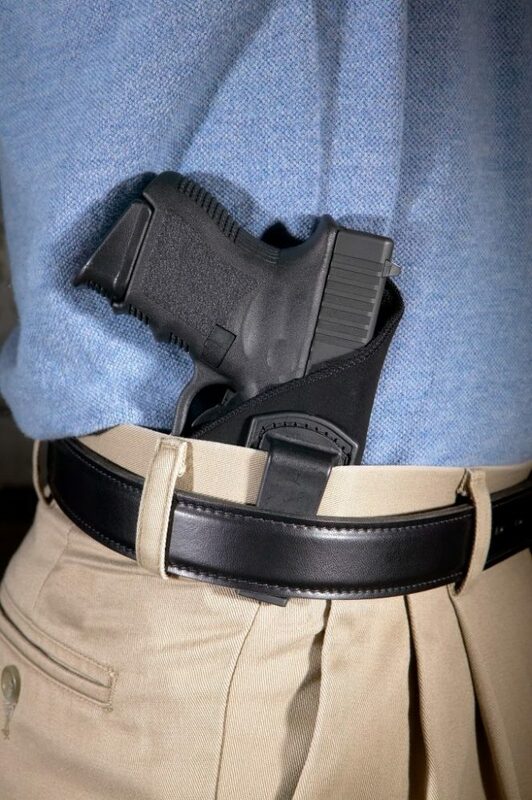 IWB holsters that require threading your belt through the loops can be time-consuming in the mornings, but others handily clip them on in just a few seconds once they're already dressed. Some IWB holster brands say that their holsters can be clipped to any sort of waistband. However, since most are designed for belt buckles, it really is the safest and most secure fit when used as it’s intended; an elasticated waistband on a pair of baggy jogging pants isn’t going to be very practical in holding your gun and holster securely in place next to your body. 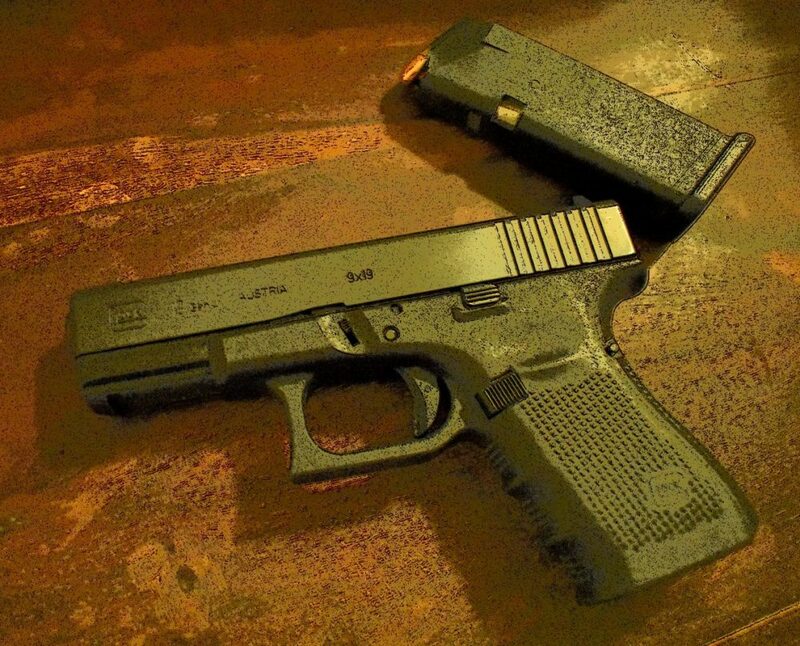 "Hard-body" IWB belt clips are usually made from Kydex or plastic. Kydex is the preferred option as it is a stronger or more durable material. Designs vary but ultimately, you want something as streamlined and simplistic as possible for the best concealment and comfort. These types of IWB holsters are preferred for safety reasons and due to the protection offered to your gun and the ease in which you can re-holster your weapon. "Soft-body" IWB holsters are available in softer materials such as nylon or leather with leather being the preferred choice for quality, durability, and comfort. As these holsters are more accommodating to your body movements, they are often reported to be more comfortable than hard-bodied alternatives, but because they collapse after drawing your firearm, it is harder and slower to re-holster your gun. 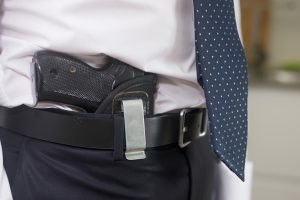 If you think that a lot of your clothing is lacking waistbands but have decided that indeed the waistband is where you want to conceal and carry your gun, then you may want to consider an IWB holster brand that manufacturers full belly bands that go around your body and can be worn under just about anything. That is because they attach to your body rather than your clothes. Due to the nature of these holsters they are, of course, only available in softer material and they can get pretty hot and sweaty to wear. Hence, if you live somewhere really hot, then this may not be the most practical option. This should always be number one on your list! 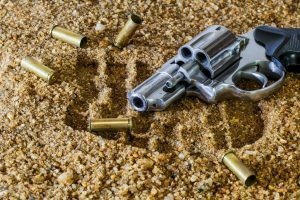 How likely is it that your weapon could accidentally discharge while concealed or during re-holstering? Always check that a hard or tough material is covering the entire trigger area of your gun and also check if anything is sticking out or in the way that may touch the trigger of your gun while putting it back in your holster. How secure is your weapon while holstered? Your gun is no good to you if it fell out of your holster when you were back in your car. 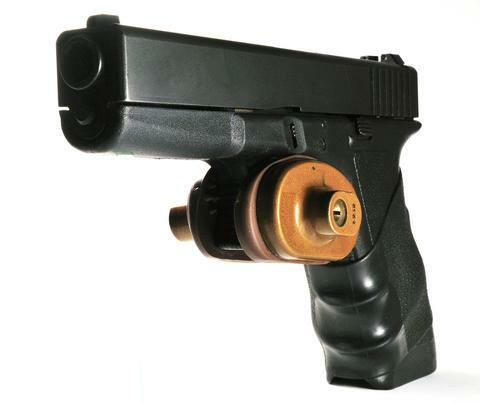 Also, look at what consideration has been given to protecting your gun from body oils and sweat. 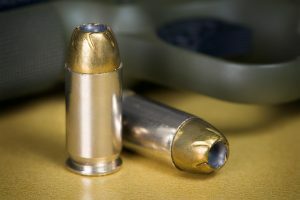 With the gun being held so close to your body, in hotter months, you will be grateful for the extra material that is sometimes provided. 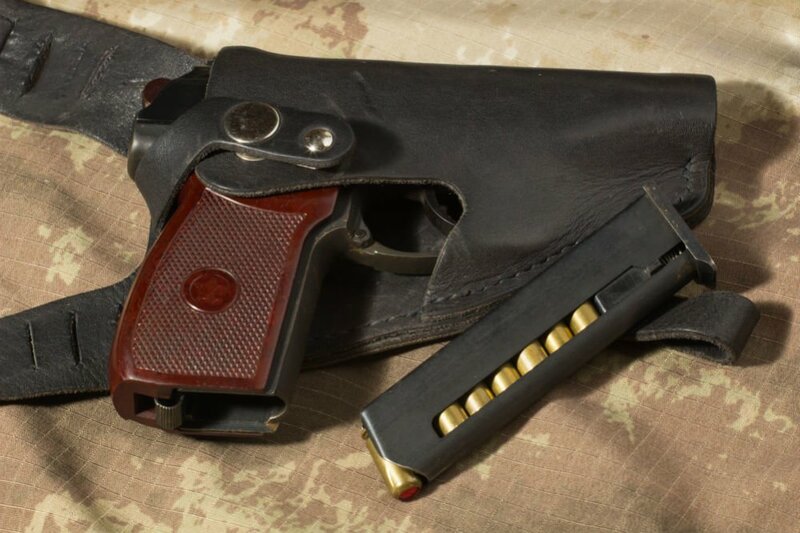 Holsters made from harder, stronger materials will also provide greater protection to the lifespan of your firearm from general wear and tear. Is the holster comfortable to wear for hours? You must feel comfortable with your IWB holster on you as otherwise, you won’t end up wearing it, rendering the holster and your firearm useless. Sometimes, you have to give it a few weeks to get used to it being there, and you may have to buy clothes a bit bigger than normal to accommodate your firearm being between your waistband and underwear. Does your IWB holster conceal well under clothes that you wear on a day-to-day basis? Some IWB holster brands are designed in a way that you can still tuck your shirt into your pants in between the gun and the belt clip. This allows for great concealment under slim-fitting shirts and is a fantastic option if you like or need to look smarter for the day. How easily can you draw your weapon? Some of the things affecting your draw and re-holster include the angle at which the gun is held against your body. Some IWB holster brands offer adjustable cant so that you can find an angle that works best for you or you may even wish to change the angle depending on whether you are wearing it at your side or on your hip. Having considered all the above factors, you should have a better idea of where to start in your search for the perfect IWB holster. 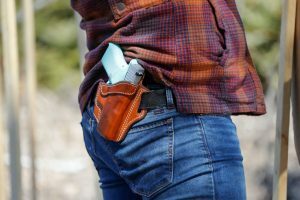 Considering safety first, followed by comfort and protection, will hopefully result in you finding the perfect conceal and carry holster for your personal firearm. Whichever IWB holster you end up choosing from the many brands available, it is advisable (and fun) to spend time practicing using it. Wear it every day and get used to how it feels on your body as well as how it feels to draw and re-holster your gun. Soon, you’ll feel naked without it!